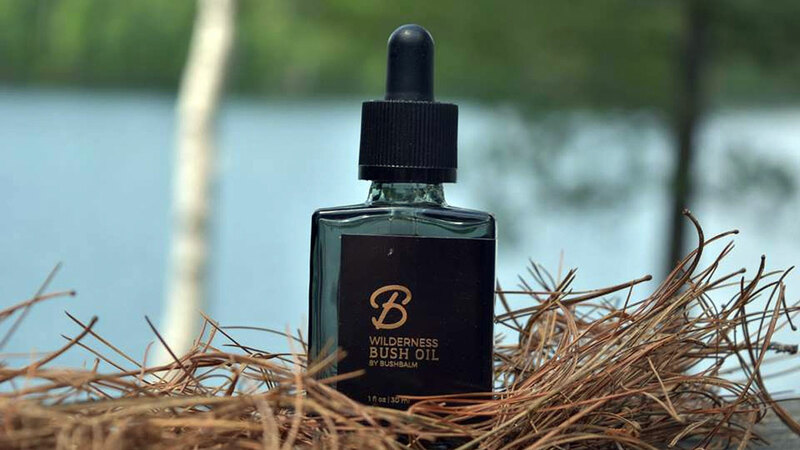 Bushbalm is for us men who have spent one too many joyless nights this holiday season sitting around "just talking" and listening to Christmas music with our wives, girlfriends, and online dates, only to realize that another round of "Jingle Bells" with Buble is not our ticket to getting Bub-laid. 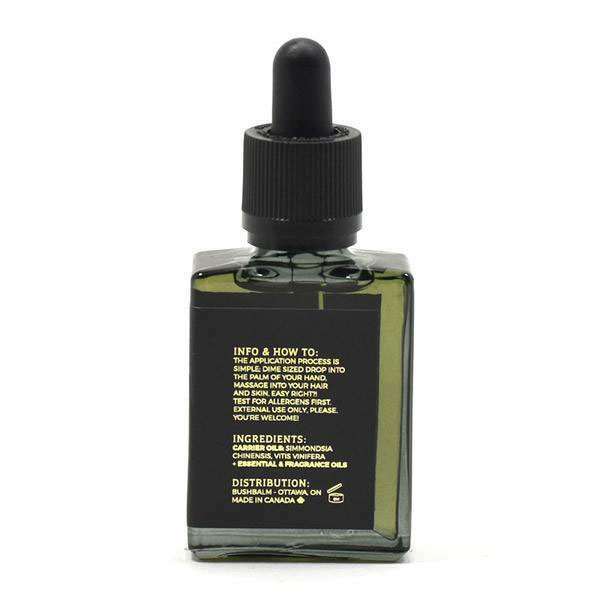 Bushbalm is for us men who have finally figured out that if we really want a little less conversation, a little more action please we must devote the same care to the areas surrounding our doer that we do to those surrounding our sayer. At least that's what I'm hoping the Bushbalm line of pubic hair oils is here to prove, because I cannot take one more second of Groban dreaming about a white Christmas as I dream about my balls being anything but blue. Bushbalm softens, scents, and spruces up pubic hair with natural oils and fragrances subtle, classic, or exotic. It can also help prevent and soothe ingrown hairs, reducing redness and irritation with the use of Jojoba and Tea Tree oils. And! Bushbalm is unisex, so ladies, you can use the mixture on your glorious crotch 'fros too. And! Both men and women who go for the Brazilian bare look will find the same Bushbalm properties that keep their nether regions clean and chill when grown out work just as well on a frictionless and follicle-free surface. 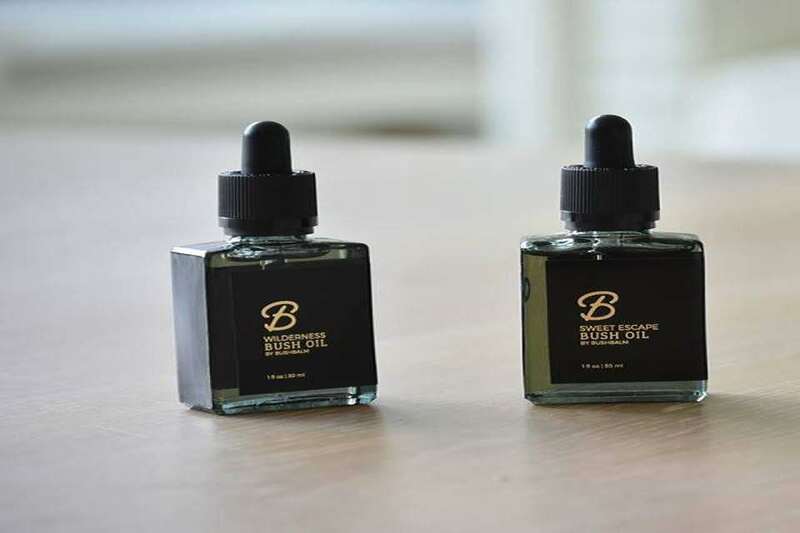 Bushbalm contains a higher percentage of Jojoba oil than traditional beard tinctutre, which the company says better mimics the oils your body produces naturally. Added essential oils contribute to Bushbalm scents Wilderness, Sweet Escape, and Bermuda. Wilderness is the rugged, masculine oil of the bunch, wafting a cedarwood essence, while Sweet Escape softens things with a sugary vanilla scent and hint of citrus. The more exotic Bermuda has notes of bay rum and citrus. 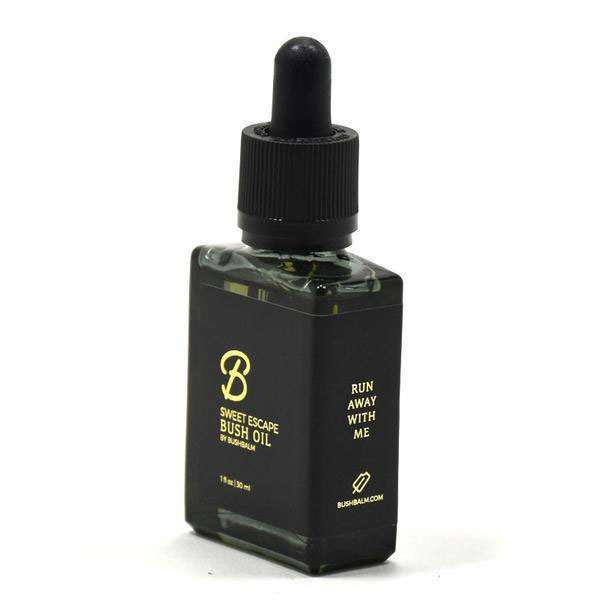 Bushbalm pubic hair oils sell in 30mL bottles.